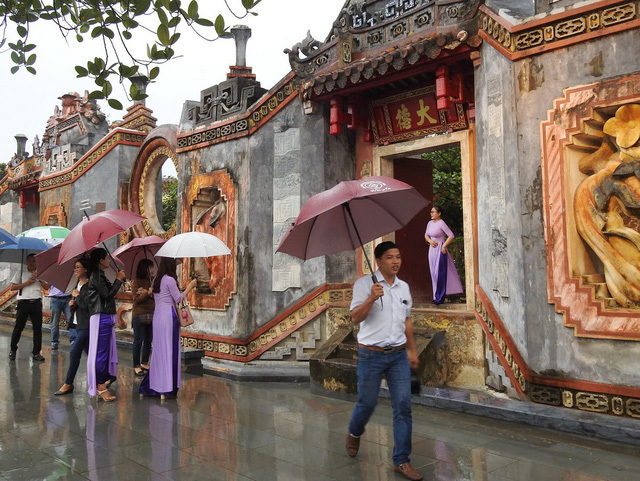 The administration in the central Vietnamese city of Hoi An made the entrance gate of an ancient temple complex available to public visits on Tuesday, adding another spot to its tourist attraction list. The tam quan gate, or three-entrance gate, is part of a complex known by locals as Ba Mu (Midwife) Temple on the city’s Hai Ba Trung Street. 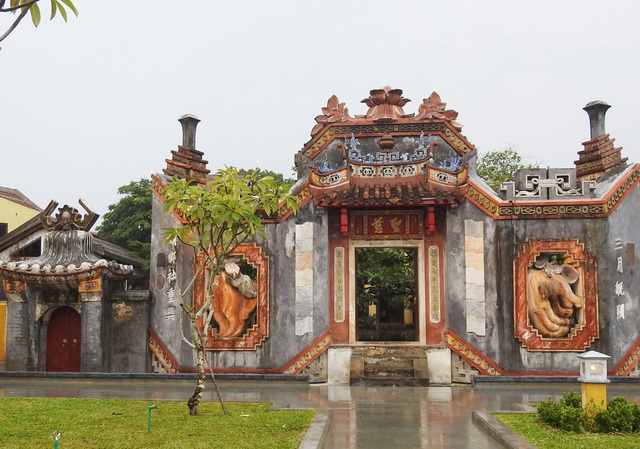 Tam quan is an entrance gate, designed in Vietnam’s classical style of architecture, often seen before the pagodas and temples. Ba Mu Temple is a complex of the three-entrance gate, a large ground and two worshipping areas. The complex worships a life-protecting god, 36 heavenly protectors, a goddess giving safety and wealth, and 12 midwives involved in creating babies and keeping them from harm according to folk belief. Hoi An natives visit the temple to ask for a peaceful life, happiness and health for their children. The temple complex was put up in 1626 at a different location in feudal Vietnam but then moved to the present position. 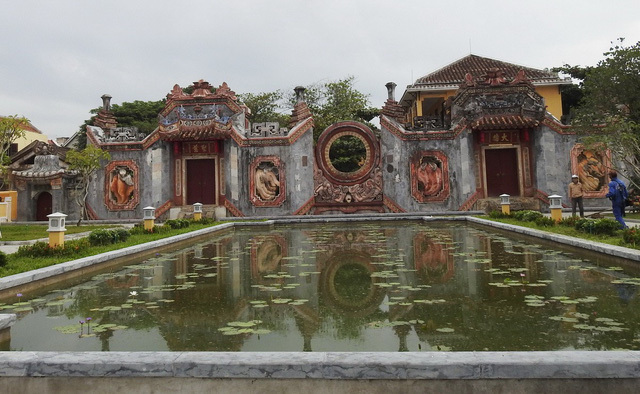 It experienced major restorations in 1848 and 1922, and used to be regarded as one of the most beautiful structures in Hoi An. But then most of the complex was damaged by weather and war, and only the entrance gate remained. The local government spent over VND5.3 billion (US$228,000) on restoring the gate and landscaping the complex, which now has electric lighting, a pool, flower beds arranged in patterns and paths for strolls flanked by lawns. The gate was restored to its original beauty and shows elaborate designs.